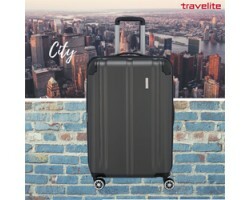 "TRAVELITE MOTION Bordtrolley 4w 55cm"
"TRAVELITE MOTION Trolley L 4w 77cm"
"TRAVELITE SOHO Trolley L 4w 77cm"
"TRAVELITE SOHO Trolley M erw. 4w 66cm"
"TRAVELITE ELBE Trolley 4w L 77cm"
"TRAVELITE ELBE Trolley 4w M erw. 66cm"
"TRAVELITE ELBE Trolley 4w M+ 71cm"